critical issues, emergencies and planned projects. to install a server at a remote location? with a hard deadline coming up? PC issue outside of hours? We’re that confident in the service we deliver that you can have 3 calls for an IT engineer, FREE OF CHARGE! Tech Assist – Let our IT engineers be an extension of your business. When you need a pair of extra hands or assistance troubleshooting a specific issue, our experienced engineering staff are here to help. The intervention of an experienced field IT engineer to assist, with full direction via agreed work instructions or accompaniment. Whether you are looking for someone to cover unexpected sick leave for one day, or planned holiday cover. 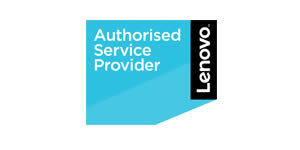 Non-Contracted desktops, laptops and printers. Support on these items is labour only, parts are excluded. We provide full UK cover, with engineers from Kilmarnock to Crawley ready to respond to your requirements. IT Engineer locations – We’ve got you covered.. Your peace of mind guaranteed with our nationwide field-team of specialist IT technicians ready to respond to your query, emergency or project. Being offline is no longer an option. Gone are the days of digital disruption. The future happens in real-time and on our watch. We find ways to turn your chaos into calm. We’re that confident in the service we deliver that you can have 3 calls for an engineer, FREE OF CHARGE! Yep, that’s right, a totally FREE trial. We see your business as an extension of our own. We’re here to drive you forward and help you reach your business goals. You can rest assured that our IT Engineers have gone through rigorous security vetting. A Security Check (SC) is the most widely held level of security clearance. Information Security is BAU for Kalamazoo IT, but we take our controls and continual improvement of the ISMS very seriously. This award-winning, SSiP-approved health and safety accreditation is trusted by over 30,000 UK contractors to provide unrivalled support. The rules are simple: We provide the best outsourced IT engineering services by working with industry leaders to give you the service you deserve. Outsourced but never out of mind. We founded our company on communication and know the importance of staying connected. As trailblazers of outsourced IT engineering services, we’re here to bring you the latest insights, technology news and industry innovations first. We also like sharing what’s new with us here at Kalamazoo IT, so grab a cuppa and browse our blog for the stories that will shape our future. Your trusted eyes and ears onsite. Larry Page had Sergey Brin. Ben had Jerry. Torvill had Dean. You’ve got Kalamazoo IT – your dynamic partner for outsourced IT engineering services.